GM Diet Day 3 – Fruit and Veggies. Summary for Day 2 – 1/2 a pound down … not as much as on Day 2, but hey, its something! Summary of Day 3 – zero gain, zero loss. 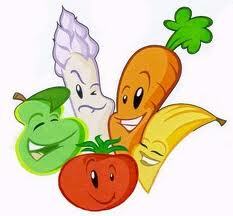 Day 3 was fruits and veggie day – yeah!! I had a great breakfast and lunch… however, the afternoon and evening took a turn for the worst. I went with a friend golfing and had a glass of wine afterwards. I also had a date on Wednesday night, had a great Greek salad and took a few bites of my dates skirt steak. The big no-no was the glass of red wine… This is why I cannot go out while I’m dieting, I have zero will power… drinking has more to do with socializing than it does with drinking…. Oh, and my period started.. Given all of this, I’m actually shocked I didn’t gain weight. But I didn’t… so its o.k.. I’m interested to see how this affects the rest of my diet. Thursday, Day 4, is all about bananas and milk. I had debated whether to do another day of fruit and veggies, but decided to just continue with the plan… Wish me luck – I’m crossing my fingers that I didn’t derail myself. Previous Article GM Diet Day 2 – All Veggies and a Potato For Breakfast. Next Article GM Diet Day 4 – Bananas and Milk.